Why is The U.S. Flag Worn "Backwards" on The Uniform? Why is The U.S. Flag Worn “Backward” on The Uniform? Army Regulation 670-1, Wear and Appearance of Army Uniforms and Insignia, is the governing authority for the wear of Army uniforms. Paragraph 28-18 governs the wear of the United States Flag on Army Uniforms. Why do American soldiers wear the U.S. flag insignia “backwards” on the right shoulder of their utility uniforms, with the canton (the rectangle with the stars) on an observer’s right? It’s a question that soldiers hear frequently as they travel through civilian airports, or talk to members of other services. And it does look “wrong,” because U.S. federal code calls for the canton to always be positioned to the left. The soldiers aren’t wrong, however, and neither are their tailors, Lt. Col. Stanley Heath, an Army spokesman. The Army actually has two authorized patches, one to be worn on the left shoulder, with the canton facing left, and another “reverse field” patch worn on the right, with the canton facing right. 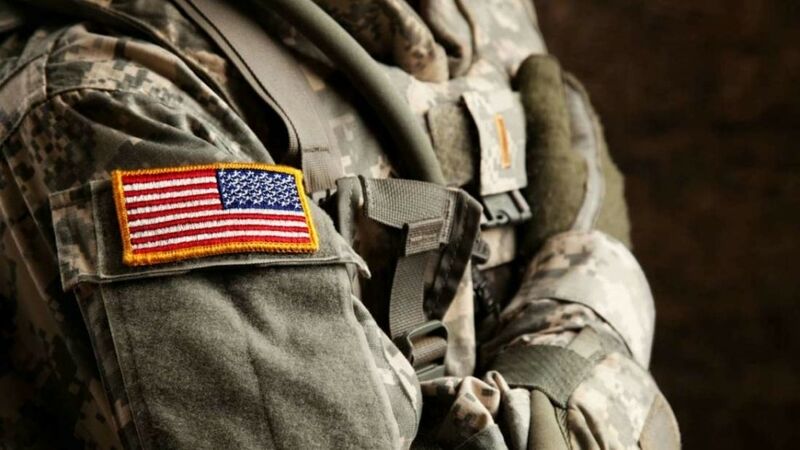 The two different orientations are mandated because Army regulations call for the flag “to be worn so that to observers, it looks as if the flag is flying against a breeze,” Heath said. What does a stiff wind have to do with this custom? In fact, the rule is a nod to the U.S. Army’s early history, when wars were fought as a series of carefully choreographed battles — two armies meeting on a field, clashing head-on until one side emerged victorious. In those battles, both mounted cavalry and infantry units would always designate one soldier as “standard bearer,” to carry the Colors into the fight. As the standard bearer charged, his rapid forward momentum would cause the flag to stream back. And since the Stars and Stripes is mounted with the canton closest to the pole, that section would always be forward. And that’s why soldiers wear the flag patches on the right shoulder “backward.” Because retreat in battle, as any soldier will tell you, is not the Army way. https://www.themadeinamericamovement.com/wp-content/uploads/2016/03/540487-istock-154955639.jpg 618 1100 The Made in America Movement Team https://www.themadeinamericamovement.com/wp-content/uploads/2017/08/Made-in-America-Movement-Logo_340x156.png The Made in America Movement Team2018-07-04 07:05:002018-07-27 18:10:55Why is The U.S. Flag Worn "Backward" on The Uniform? THANK YOU, I now can quit asking the question! The patch is not a flag, but an image of one. It faces the way the person faces. I think its just wrong. Stars are suppose to b on the left and should appear and stay on the left.